NOTE: This workshop has been postponed from Oct 18 to Oct 25. Charcoal, pastels, and sketching paper are provided. Please register in advance to ensure sufficient workshop materials are provided. For ages 19+, please. Beer provided by donation. 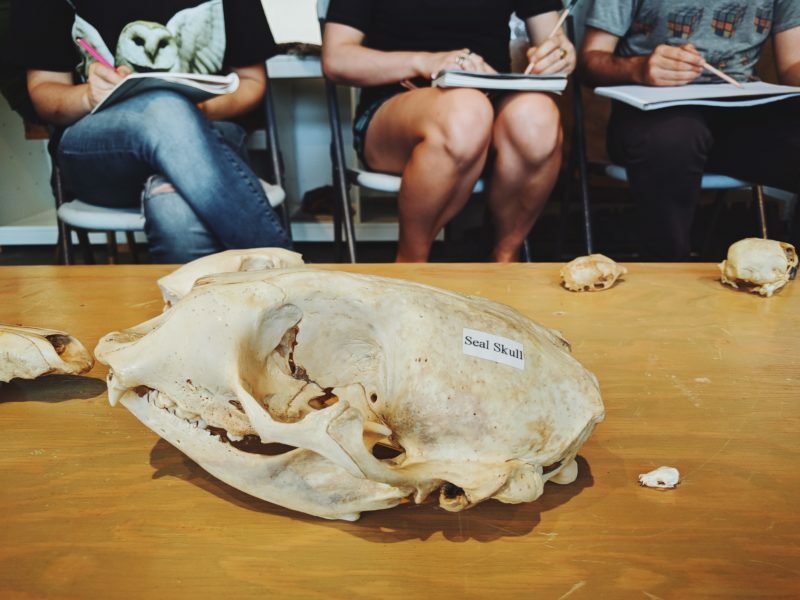 Take a closer look at Stanley Park Ecology Society’s skull collection and develop your drawing skills with an artist as guide. Learn the story behind our skeletal specimens while you’re at it. Enjoy a beer or two at this session!